*Home sales will slacken in the third quarter, creating an opening for assertive home buyers. *After rising through the first half of the year, mortgage rates could keep pushing upward — or plateau. *The rise in mortgage rates will keep some homes off the market, fueling demand for home equity lines of credit. In a typical year, home sales peak in June and then decline in the third quarter. But plenty of homes remain on the market from July through September. Competition among buyers is about the same and maybe even ratcheted down a little. If you prioritize homebuying over vacationing this summer, Terri Robinson’s advice is to move fast. Robinson, a real estate agent in Ashburn, Virginia, says the competitive edge goes to buyers who don’t put things off. If a desirable property goes up for sale at the beginning of the week, don’t expect it to still be on the market Saturday. “Always be ready to dash and go and see it,” Robinson says. And it helps to know how much home you can afford. *Get preapproved for a mortgage. *Make the biggest down payment possible, even if it’s not 20%. *Hire an experienced agent who’s plugged in to the network with other local agents, which is important when looking for suitable homes and when negotiating. *Use a mortgage broker who takes time to answer questions. First-timers can educate themselves about state first-time home buyer programs designed for them. On top of specialized state programs, the Federal Housing Administration and the Department of Veterans Affairs offer FHA loans and VA loans, which are popular among first-time home buyers for their flexible terms and competitive rates. Mortgage rates have gone up this year, and some observers predict that they’ll keep rising in the third quarter. The average rate on the 30-year fixed-rate mortgage climbed more than half a percentage point in the first six months of 2018, finishing June at 4.72%. Few, if any, people in the industry expect mortgage rates to fall, but they’re split about whether rates will keep rising or stay where they are. The Mortgage Bankers Association and the National Association of Realtors both expect mortgage rates to rise about two-tenths of a percentage point more by the end of September, as job creation remains strong and the Federal Reserve raises short-term rates. Not everyone is convinced that mortgage rates will keep going up. Fannie Mae, the government-sponsored enterprise that buys mortgages from lenders, expects rates to remain near the current level for the rest of 2018. Michael Moskowitz, president of Equity Now, a mortgage lender in New York City, believes that mortgages will stay about the same because of weakness in European and Chinese economies, which could lead investors there to seek the safety of buying American debt, keeping a lid on interest rates. Any would-be buyer or housing economist would tell you there aren’t enough homes for sale. You can point the finger at many causes for the housing shortage, and one of them is rising mortgage rates. It’s called rate lock-in: Homeowners are reluctant to sell their homes and abandon their sweet mortgage rates. To satisfy the desire to move up to nicer or bigger homes, locked-in homeowners can renovate or build additions. One popular way to pay for improvements is with a home equity line of credit, or HELOC. It’s a second mortgage that lets you borrow against the home’s equity, which is the difference between the home’s value and the amount owed on the mortgages. The market “is poised for a strong shift toward HELOC utilization, as they allow borrowers to take advantage of growing equity while holding on to historically low first-lien interest rates,” according to a report by mortgage technology company Black Knight. Interest rates on HELOCs are variable and go up when the Federal Reserve raises short-term rates. Although the lock-in effect discourages homeowners from refinancing their primary mortgages, the number of new HELOC accounts grew 14% year-over-year in the first quarter of this year, the most recent data available, according to ATTOM Data Solutions. 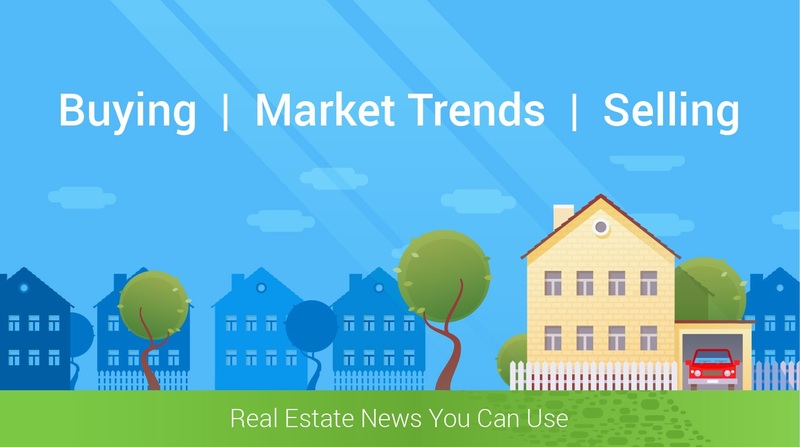 The article 3 Months, 3 Housing Trends: Fast Buyers, Higher Rates, Tapping Equity originally appeared on NerdWallet.